Beanies designed for business people need to be super smart and stylish and warm. This classic design will thrill any executive on the run in icy cold weather. In a choice of black, charcoal, navy and stone, it will make a functional fashion accessory to keep on the coat rack in the office. The beanie has a fleece lining around the inside brow for extra comfort and heat retention. Our beanies are manufactured from an acrylic knit with a cable row feature design. The fabric is heat retaining and will never fade. It is easy to keep looking good for many years by washing in warm water or dry cleaning. We adhere to the highest standards of quality control in the manufacture of our beanies. Attention to detail is applied to the stitching techniques and the construction of each and every piece. 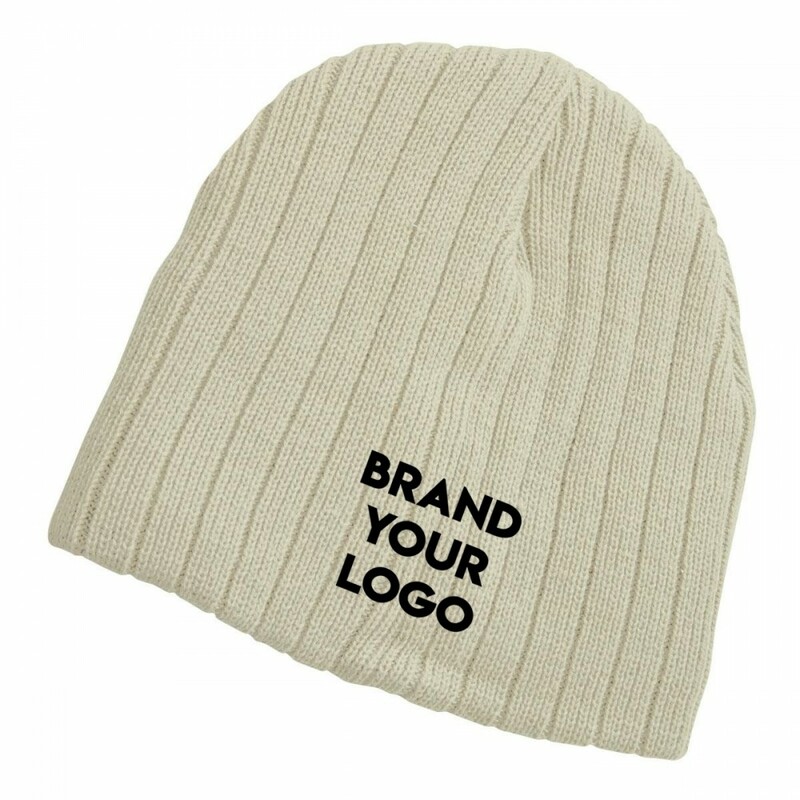 Get your corporate brand showcased on the beanies when you embroider your unique logo and graphics onto the front or back.